These treelight sessions truly have my heart. There’s just that littleness to the children, the excited ness, and magicalness to Christmas that brings such a smile to everyone’s faces. These two sweet sibling were no exception! It really is such a honor to capture these moments for families, as soon these little kiddos will be as big as mine! 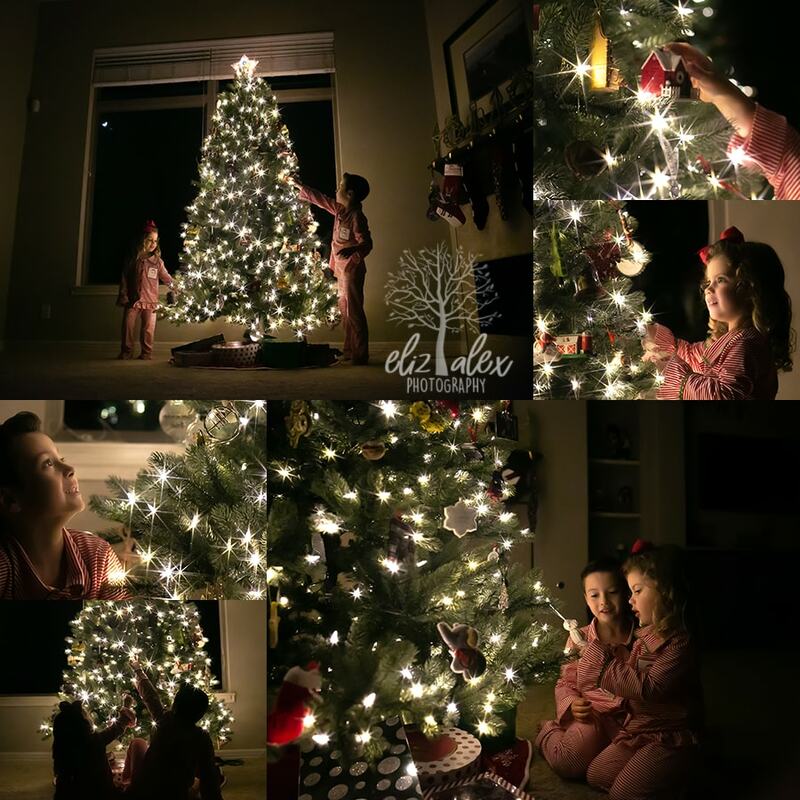 Remember in this Our Christmas Photo Traditions , I explained what I do with these images – print and make them part of your holiday decor! Now I have one boy that is almost as tall as a Christmas Tree and what am I do to!! Is it time to get a 10 – 12 foot Christmas tree? Would that even fit in my home? A few more will becoming you way soon . . .